Tue., Sept. 30 5:00 a.m.
RICHMOND, Va. (AP) _ They both were walking alone, separated from their friends late at night on or near the University of Virginia campus. One was found dead nearly five years ago. The other is still missing. And now police believe they’ve found a link between the 2009 slaying of Morgan Harrington and the Sept. 13 disappearance of Hannah Graham — forensic evidence pointing to a 32-year-old man who fled the state when he learned police wanted to question him about the Graham case. 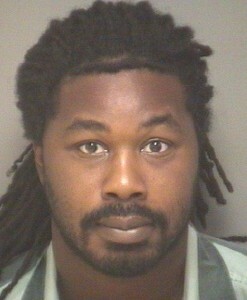 Jesse Matthew Jr. was arrested on a beach near Galveston, Texas, last week and was brought back to Virginia to face a charge of abduction with intent to defile the 18-year-old Graham. State police say the arrest has produced a forensic link to the Harrington case, but they’re not providing details. Mon., Sept. 29 5:55 p.m.
RICHMOND, Va. (AP) _ Police say the investigation into the case of a missing University of Virginia student has turned up a lead in the 2009 disappearance and death of another young woman. Virginia State Police said in a written statement Monday that the arrest of 32-year-old Jesse Matthew Jr. provided a forensic link for investigators to pursue in the case of Morgan Harrington. The 20-year-old disappeared while attending a concert at U.Va. five years ago. Her remains were found in nearby Albemarle County. Matthew is charged with abduction with intent to defile 18-year-old Hannah Graham. She’s been missing since Sept. 13. He is being held in jail without bond. State police weren’t specific about the forensic link. In the statement, spokesman Corrinne Geller said police would have no further comment on the investigation. 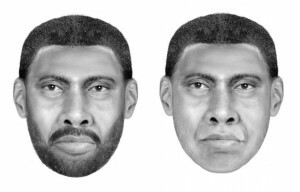 Police have said in the past that DNA from the Harrington murder matches a 2005 sexual assault case in Fairfax, Va. Police have not said whether or not the updated forensic evidence tying Matthew to the Harrington case also ties him to the northern Virginia case. For the past five years, the Virginia State Police has been aggressively pursuing the investigation into the disappearance and death of 20-year-old Morgan D. Harrington of Roanoke, Va. Last week, the arrest of Jesse L. Matthew Jr., 32, of Charlottesville, Va., provided a significant break in this case with a new forensic link for state police investigators to pursue. There is a still a great deal of work to be done in regards to this investigation and we appreciate the public’s patience as we move forward. Anyone with new information concerning the Harrington investigation is encouraged to contact the Virginia State Police at 434-352-3467 or the Jefferson Area Crime Stoppers at 434-977-4000. Meanwhile, state police continues to dedicate the necessary resources to assist the Charlottesville Police Department through the course of its investigation and with their efforts to locate Hannah Graham. In fact, right now, the public’s focus needs to remain on helping Charlottesville Police locate and bring Hannah Graham home.